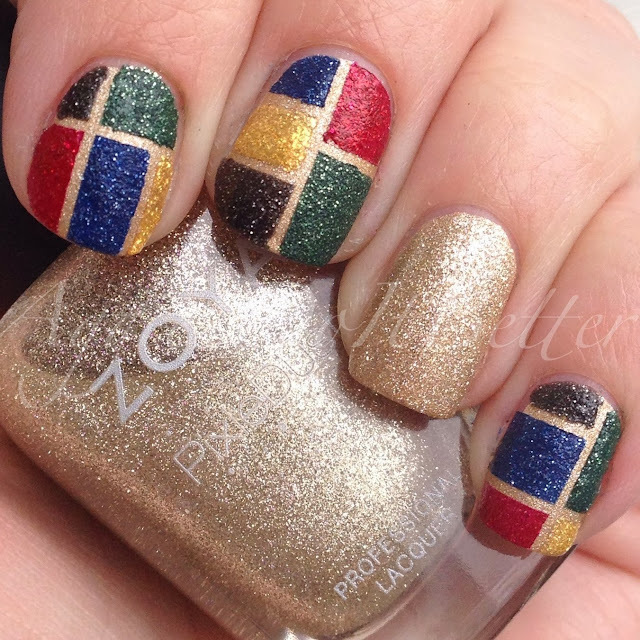 Aggies Do It Better: Olympic Colorblock Nails with Zoya Pixiedust! Happy Olympics Opening Ceremony Day! My house is a big fan of the Olympics, and we love the pomp and circumstance of it all. 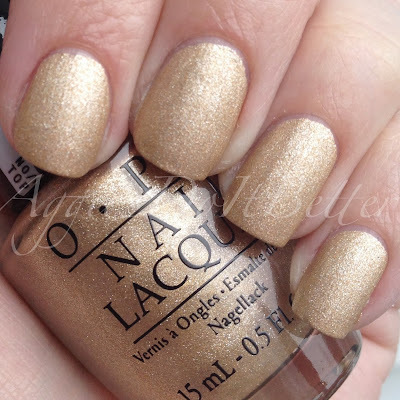 Let's start with the base I used, from the new OPI Gwen Stefani line, Love.Angel.Music.Baby. I originally wasn't going to get any of the Gwens, (Helloooo Brazil) but I love the silver cousin to this one (This Gown Needs a Crown) so much and I use it a ton. It dries super fast! So I caved. I'm sure I will get lots of use out of it! I didn't do the best clean up job, because I was about to layer over it...... sorry! And here is my version of Olympic nails. I was going to do circles with straws but my straws were too big :( So I finally got my hands on some striping tape and away I went. I still need a LOT of practice! !